Inky Deals is one of the leading deals websites in the design community, with an extended family of more than 300,000 design enthusiasts. Theyíre the only ones who offer a 200% money back guarantee on every product. This means that if youíre not happy with it, you get your money back and you also get to keep the product. 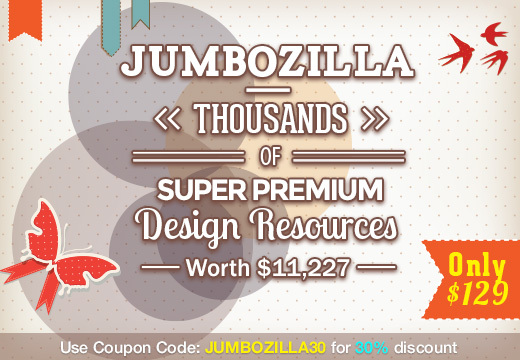 They’ve gathered all the Super Premium deals they ever had and bundled them up in this incredible deal: JumboZilla – Thousands of Super Premium Design Resources worth $11,227 ñ Just $129. And because Inky Deals are our friends, they offer you an exclusive discount coupon: JUMBOZILLA30 so you can grab this deal with an extra 30% discount. 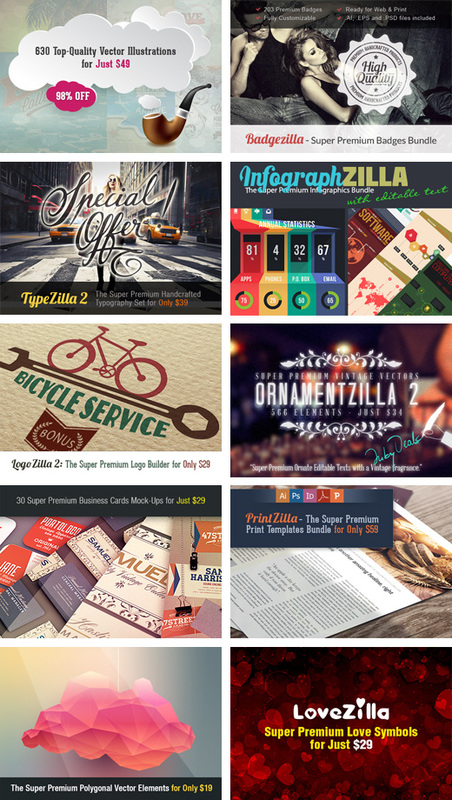 Here youíll find 26 different collections that have thousands of top-quality elements! Even if you could get all these super premium deals at their discounted price (which wouldíve taken you 2 years), youíd still have to pay $788.9. But exclusively with this deal, you can get the entire super premium bundle for just $129! Use the coupon code: JUMBOZILLA30 at checkout for 30% discount!